Pictures of shipping in and around the Wash Ports of Boston, Kings Lynn, Sutton Bridge, Wisbech and Fosdyke (for a while), dating back (eventually) to about 1980. My 'Hood', so to speak! These pictures are for information/research purposes only and are not for sale under any circumstances. Every effort has been made to verify the information in the captions but its accuracy cannot be guaranteed. 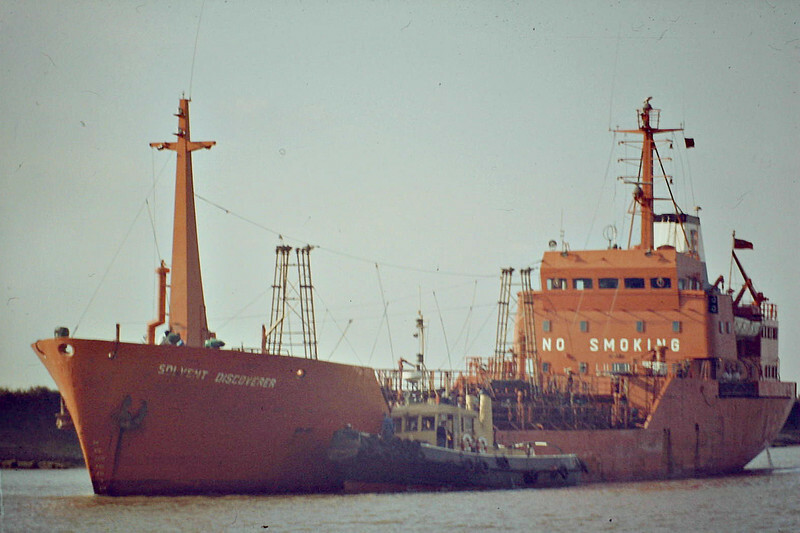 SOLVENT DISCOVERER (Newcastle) - IMO7408873 - Chemical Tanker - GBR/2507/75 Schiffs Ernst Menzer, Geesthacht, No.502 - 80.7 x 12.3 - Essberger Tankers - still trading as AKTIVA (SLE) - Kings Lynn, inward bound to unload, 10/83.